Anmar Solutions is proud to offer a full suite of high quality services in the electrical safety and compliance sector. Part of our strength as a provider stems from the breadth of our service options: when it comes to electrical safety and compliance, you will never need more than one provider. First-class customer service. We value transparency in fee structure, honesty in communication, and flexibility. We provide all important documentation and reports. You will not have to worry about compliance when working alongside Anmar. 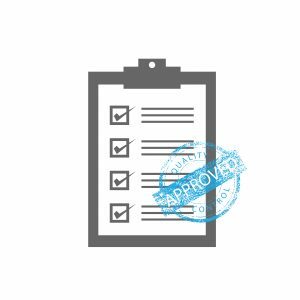 Along with our Test & Tag, Weighing and Compliance Management services, we offer the following range of services. 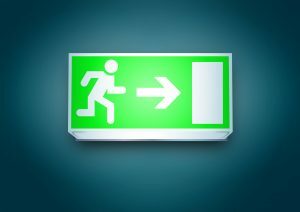 Functional Exit & Emergency lighting systems are required in workspaces and certain public areas under Australian law. The Australian Standard (AS/NZS 2293) dictates six monthly testing of these lighting systems by an accredited practitioner. 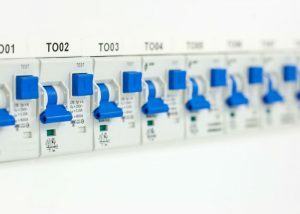 Under Australian Law, Safety Switch RCDs (Residual Current Devices) are a necessary requirement of homes and workplaces equipped with electrical circuitry. Safety Switch RCDs are a crucial component of electrical safety, and save many lives in Australia every year. They function by cutting power in dangerous situations (earth leakage) caused by an appliance failure or circuit malfunction. You must test Safety Switches for correct function on a regular basis, as set out in AS3760:2010. 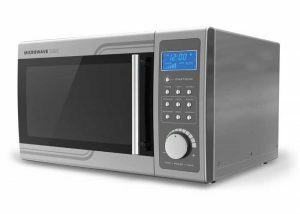 Unfortunately, microwaves damage easily, particularly in a business environment, where usage rates are much more frequent. Given that the High Frequency Radio waves emitted by a microwave are able to penetrate living tissue, they can be harmful to human health. To keep your employees safe, microwave leakage testing should be undertaken regularly. Our thermal imaging service is an innovative solution designed to locate problem areas in electrical circuitry and appliances before they cause damage or present a serious hazard. 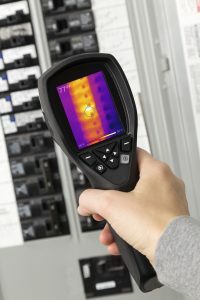 By using an infrared camera, we can analyse hot spots and anomalies in electrical circuit function. This is a remarkable advantage when it comes to preventative maintenance and can save not only time, but big costs also.